The beautiful book is one of the most unusual tales I’ve read. Told entirely from the point of view of a single bee, Flora 717, it encompasses a whole life and society, from the confines of a hive to the surrounding orchard and beyond. Flora is a sanitation bee – the lowest caste of her community, assumed by all to be without voice and without thought. When she learns to speak, she finds herself overcoming the preconceptions and prejudice of her sisters to rise through the ranks, and gradually comes to understand the politics and hidden dangers of her home. The Bees is an exhilarating read – initially somewhat claustrophobic but expanding as Flora’s perceptions develop. The first time she experiences flight is a wonder that may leave you breathless, while her encounters with treacherous wasps and the ‘myriad’ are as enlightening to us as to Flora herself. Suspense crackles in the undertones as we meet boorish drones and immerse ourselves in the Mother’s hypnotic devotion. This is a portrayal of a society as complexly layered as any human population, and yet as alien as any sci-fi imagining. There are moments of genuine horror as the story winds towards its crescendo, as well as hugely satisfying passages as Flora continues to confound the sisters who see her as no more than an ugly anomaly. When she ascends to the role of forager, we’re treated to the joy she feels when communing with the flowers that call her each time she takes flight, while the more callously pragmatic qualities of the wild are portrayed via the spiders who gather as autumn sets in. Often, it is the interference of humanity that seems most alarming and malevolent, with toxic crops, mobile phone towers and even the actions of the beekeeper wreaking destruction on the hive. Yet, as Flora discovers, it is the enemies within that she must beware – even as she finds the courage to trust her own impulses and convictions. A truly astounding, powerful book that will make you regard both the natural and human world anew. 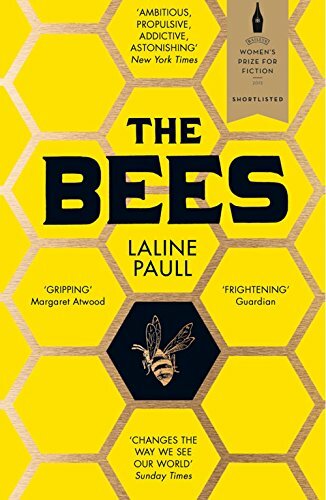 The Bees by Laline Paull is published by Fourth Estate and is available to buy from Amazon. This entry was posted in Reviews and tagged Book reviews, Laline Paull, The Bees by Judy. Bookmark the permalink.